Mary Elizabeth Reilly, 101, of Myrtle Beach, passed away peacefully at Tidelands Waccamaw Community Hospital. She was born June 2, 1915 in Staten Island, NY, daughter of the late Joseph and Sophia Lonek. In addition to her parents, Mary was preceded in death by her husband, Thomas W. Reilly, Sr.; son, Thomas W. Reilly, Jr.; brothers, Steven, Johnny and Joey; and sisters Sophie and Annie. Mary loved music, singing, crafting, gardening and cooking. She was actively involved in the Catholic Youth Organization. She leaves to cherish her memory her daughter-in law, Marie Reilly of Myrtle Beach; grandchildren, Maureen Healy and husband, Michael of Myrtle Beach, Timothy Reilly of Lawrenceville, GA, Thomas M. Reilly and wife, Michele of Staten Island, NY; and great-grandchildren, Kevin Reilly, Coleen Healy, Richard Reilly, Daniel Healy and wife, Mary Emily, Caitlynn Reilly, Sarah Reilly and Samantha Reilly. Calling hours will be held at Cherubini McInerney Funeral Home in Staten Island on Monday from 7-9pm. 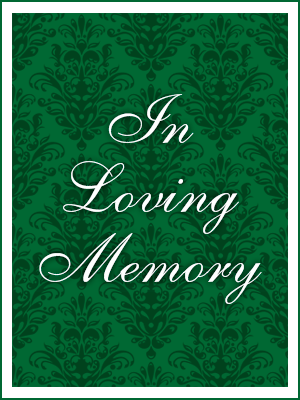 A Funeral Mass of Christian Burial will be held on Tuesday at 10:30am at St. Adalbert’s RC Church. Burial will follow at Ocean View Cemetery. Our deepest sympathy to all of her loved ones. What a wonderful Gram who left such loving memories with all of you.